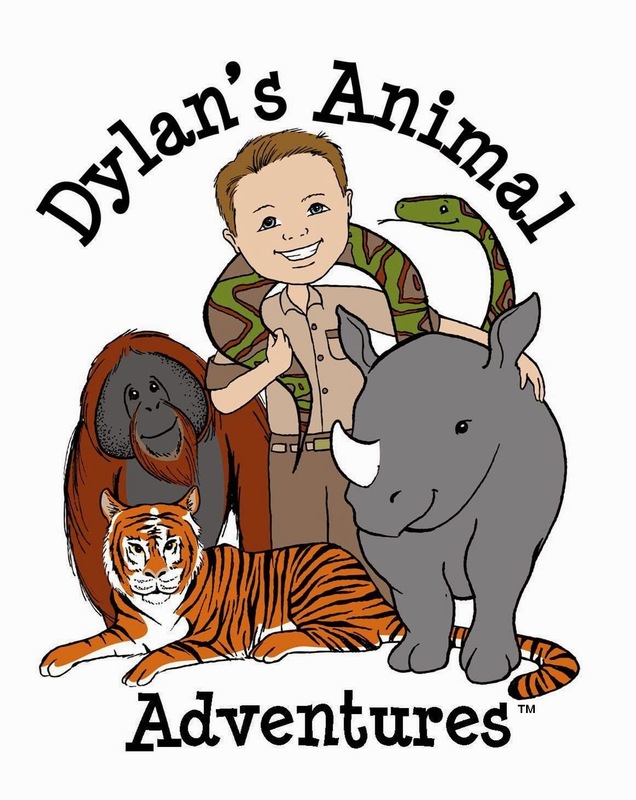 Life with Dylan: Have you walked with the lemurs? 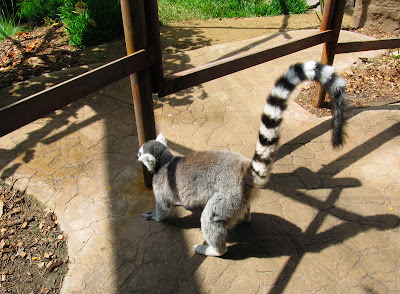 Have you walked with the lemurs? 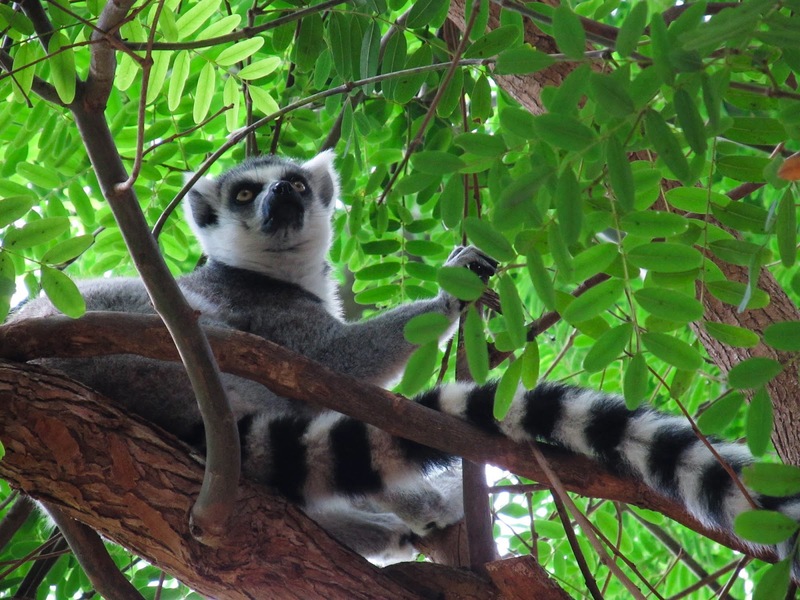 In case you missed the opening of Lemur Walk at the San Diego Zoo Safari Park over the summer, now is the perfect time to go walking, or um, leaping with the lemurs. 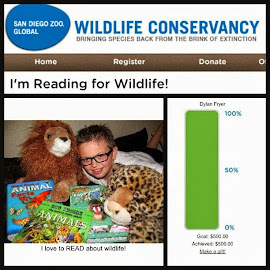 Every day in October, children 11 years old and younger receive FREE admission to the San Diego Zoo and San Diego Zoo Safari Park as part of Kids Free presented by Mission Fed. 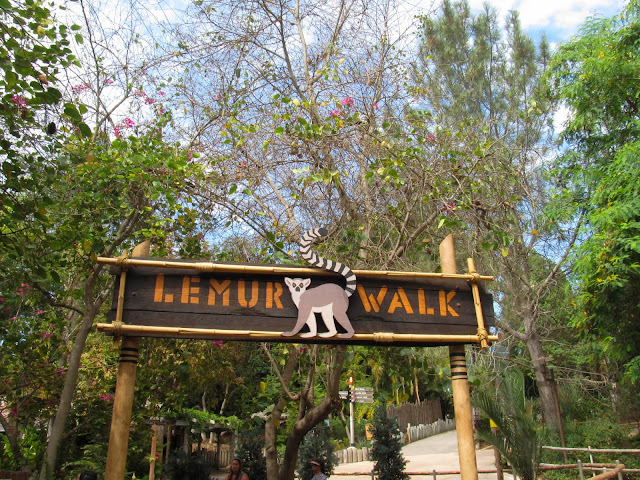 Lemur Walk is an immersive experience, where you get to walk on a pathway through the animals' habitat. Yes, you are inside the exhibit with the lemurs and can watch the endearing primates socializing, grooming, jumping, climbing and even sunbathing, one of the lemur's favorite pastimes. Lemurs are native to Madagascar, an island off the southeast coast of Africa. There are numerous species of lemurs, with ring-tailed lemurs among the most populous and easily recognized with their long nose, big eyes, woolly fur and long, black-and-white-ringed tail. Ring-tailed lemurs are mostly active during the day; unlike other lemurs, they spend more time on the ground than in trees. 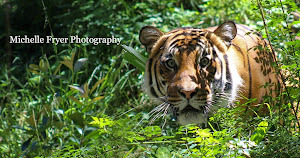 They are omnivores, eating primarily fruits, leaves, flowers, herbs, bark and sap. All lemurs are endangered, mostly due to habitat destruction, so this truly is an amazing experience to be up-close with the lemurs. 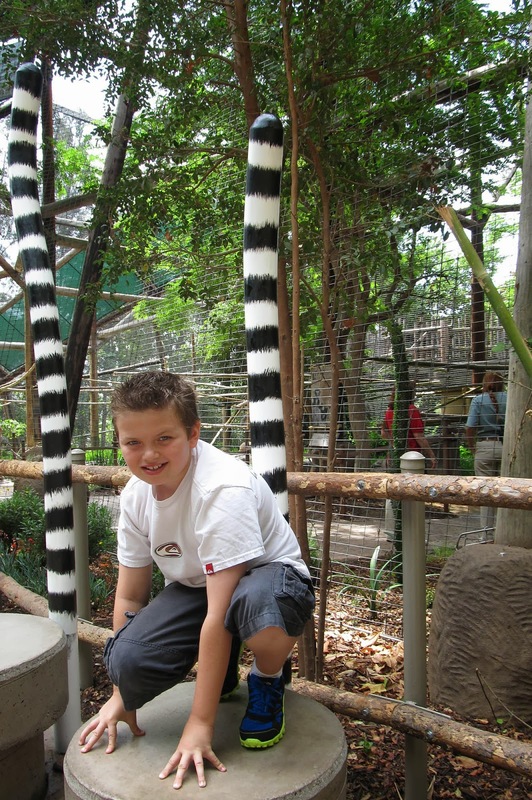 So even if you did walk with the lemurs already, why not go back and walk some more? Who knows, you may even come home with a little lemur leap in your step. 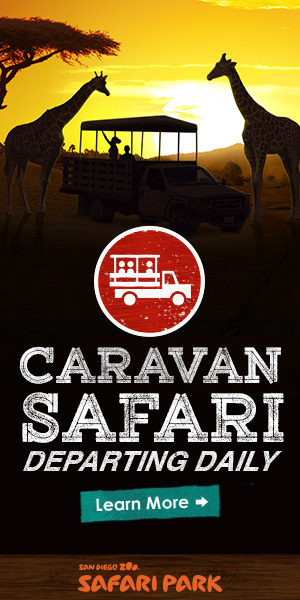 While at the Safari Park, you can enjoy Kids Free events every Saturday and Sunday that include animal shows, keeper talks, animal ambassador presentations, and crafts. Robert the Zebra talks to guests in a digital, animated form on a large screen where he can see the people who have come to visit. He asks questions, cracks jokes, talks about zebra life, and is very curious about humans. 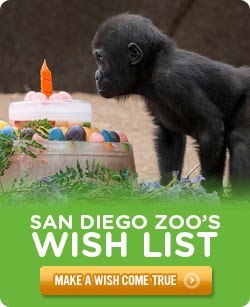 Robert also is celebrating his birthday the entire month of October so his interactions will include sing-a-longs and birthday fun! 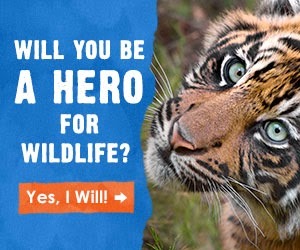 At Tiger Tales storytelling, families can enjoy a storybook reading followed by an animal presentation. 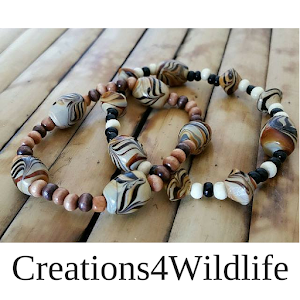 There are also special activity booths located throughout the Park, children can unleash their creative sides while learning about the wonders of the wild. 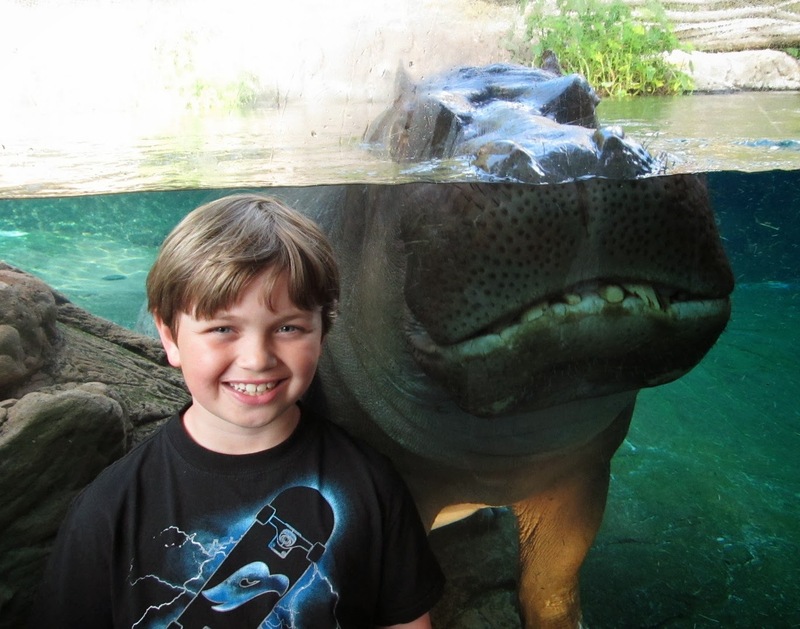 These booths are one of our favorite activities during Kids Free days at the Safari Park. 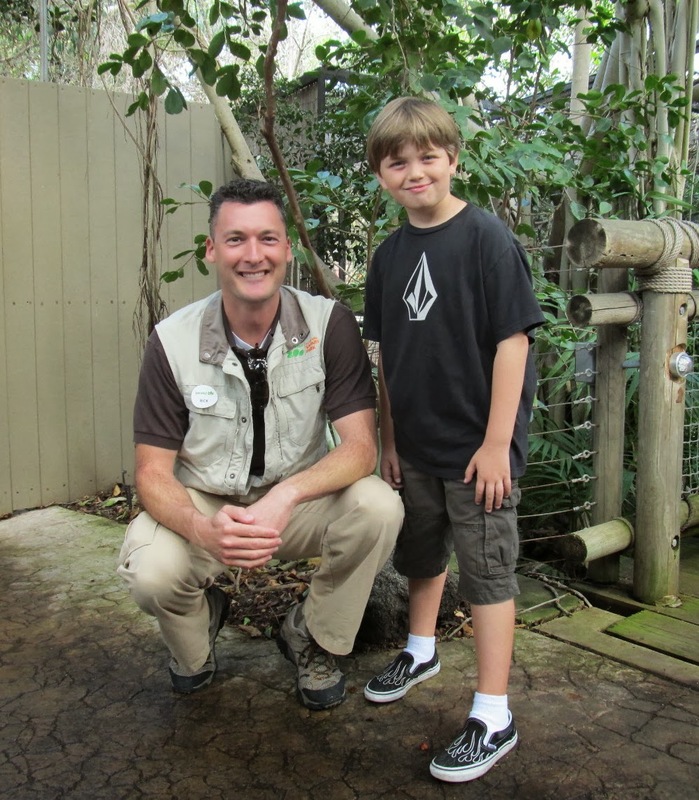 For more pictures from our walk with the lemurs, visit our Flickr album Lemur Walk.